"I just wanted you to know that the wonderful service which First South Bank received from you (and your team) was very much appreciated. Your assistance on marketing our two recently sold properties in Hasentree was invaluable. Your professionalism is especially important for the Bank, because we must have professionals representing us in all facets of our business—you represented the Bank very well. Personally, I very much appreciated your level of communication, which made both transactions flow easily. Again, please accept my thanks for a job truly well done! " "Thank you for the incredible job you did for us during our location to the Raleigh area. I have relocated now five times and I must tell you I have never been more pleased than with the support I received from you and your staff. You met the challenge head-on and found our dream home. Linda, you are a true professional and have no bigger fans than the Volzes. I will certainly be recommending you as the key to a positive relocation experience. " "Mark and I don't know how to thank you enough for all you've done in helping us find our home. We love it! We'll make sure and send anyone looking for a home to Linda Lee Realty Group! You and Kelly must come over for a glass of wine soon! Thank you. " "We decided to relocate to North Carolina from California when we were six months pregnant with our first child. What could have been a very stressful and frustrating ordeal turned out to be a fun adventure - largely because we met Linda. Her familiarity with the area and extensive knowledge helped us "first-time home buyers" feel comfortable and confident. We really enjoyed the whole experience. When it came time to move back to California, Linda was the logical choice to help us sell our home. She brought in a team of experts to stage our house and made it look like a showplace - which was no small feat because we had two small children by then. She executed an aggressive marketing plan and took care of every detail of the transaction. We were extremely pleased with our experience, mostly because we found Linda to be a woman of integrity, grace and good 'ole southern charm. We would happily recommend her services to all of our friends, family and colleagues. " "I have had to move many times in my life, and I have been through the home buying experience three times, literally from coast to coast. In all the moves, I never had the pleasure of working with an extraordinary Realtor® like Linda. Linda listened to what I wanted, worked hard to find it, and most importantly, succeeded in making the search fun instead of painful "
- Suzanne Martin McLarnon; Group Manager Cisco Systems, Inc.
"We recommend Linda to all of our friends whenever they have a real estate need. 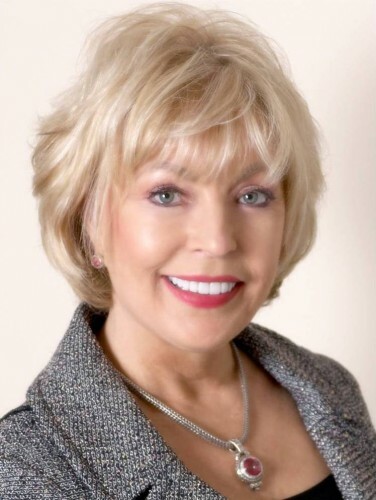 Linda has helped us with several purchases and sales of homes in Raleigh. It has always been a wonderful experience. Her professionalism, experience and charm have helped us get the home of our dreams on more than one occasion. Whether buying or selling we would never hesitate to turn to Linda. We consider her not only our agent but our friend. " "Shannon and I have worked (partnered) with Linda on the two homes we've purchased in Raleigh and I highly recommend her services! Linda spent a lot of time with us on the front end, discovering our needs and what we felt is best for our family and then worked tirelessly to find the right fit. Best of all, she understands her business and is truly committed to her clients.....long term......". "